Under a tithing system, a pimps financial security is not dependent upon freewill givers guided by spiritual discernment. For this fact alone, tithing in the Spirit led Church incubates heretical teaching. The law has no authority to command support for a ministry that the law did not commission. If the Spirit is calling a ministry, then let the Holy Spirit validate His work by also calling others to give. Otherwise you will get those who say they are led by the Spirit, but truly are misled, and yet still feel the need to obligate others into supporting him. So now we have the problem that a man claims the Spirit is calling his fellowship in one direction, and then on the other hand God’s people are obligated to pay for a humanistic decision. It’s a catch-22. You disagree with a pastor and yet, you are obligated to fund his operation. What do you do? On top of that, throw in the often mis-interpreted phrase, “touch not God’s anointed”, and there you have it, no accountability, no questioning, lots of money, and all consuming power all rested in the finger tips of one man with a vision(whatever that may be). So what’s going to stop this train wreck? We know one thing for sure, lack of money isn’t stopping it as long as God’s people know they are obligated to tithe. 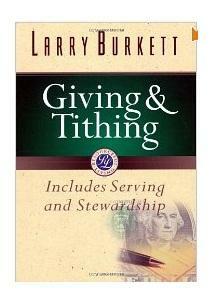 Tithing has nothing to do with obligation to a man’s individual purpose. We can not speak on the Church without talk about heavenly things. After all… the church (gathered body of believers) are the heavenly bride of Jesus. And anything involving the spirit requires faith… that the why the Word of God says without faith it is impossible to please Him…. You must understand and believe that the vision and that plan comes from God not the selfish desires of a man.